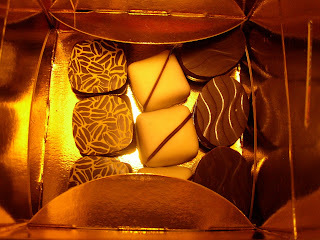 I'm going down to London for a blogmeet tomorrow. The sun is supposed to be shining so it should be a good day and I'm looking forward to this very much. The other day I received the catalogue of Sceptre's new fiction for 2008. Ever since they published two of my novels their catalogue has arrived in the post twice a year. Some seem more enticing than others and this particular one looks very enticing indeed. I would love to read each one. Ronan O'Brien's debut novel, called CONFESSIONS OF A FALLEN ANGEL whose cover graces the front of the catalogue is about a man who can foresee death in the people closest to him, That is a chilling thought. I keep thinking of the people I know who have died and how glad I am that neither they nor I knew that their end was near. Next is Gregory Norminton's SERIOUS THINGS which is a 'gripping tale of vengeance, morality and the complex paths that can lead to redemption' which is set in a boarding school, and since it is written by Mr. Norminton will undoubtedly be a thing of beauty. It also has a particularly gorgeous cover to match. while Frances Itani's REMEMBERING THE BONES is a retrospective of a life. and Melvyn Bragg has written a love story from the 60's called REMEMBER ME...(this looks really good judging from the extract). Andreï Makine's is called HUMAN LOVE. 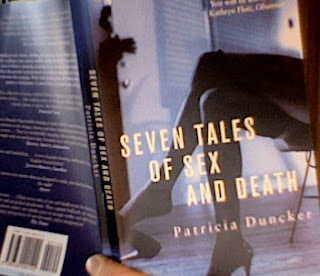 This is an author I have heard much about (all good) but never read. Somehow I shall have to change that some day. The name of the next author, David Benioff, also seems familiar. His book is called CITY OF THIEVES and is 'a funny and poignant tale of an unlikely friendship' while finally, in the fiction selection, is Siri Hustvedt's THE SORROWS OF AN AMERICAN which promises 'to probe the mysteries of the heart and mind'. Sometimes, well quite often in fact, I dream of being stranded somewhere so that I can just read. I would like a large fire of aromatic woods, one of those reclining chairs in pale soft leather, perhaps a little gentle and unobtrusive music, a glass or two of wine and an assortment of delicious little snacks and a stack of books just like these beside me. Then, when I look up there will magically appear in front of me some intelligent and articulate friend who has read exactly the same books and we will spend the night (which has now become very long) discussing them. We will come to some deep and meaningful conclusions and gradually fall asleep where we sit. 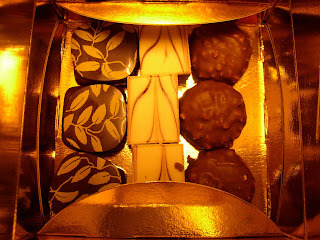 It is not too much to ask, and frankly, dear blog-reader, I feel I deserve it. Petrona (AKA Maxine) has plugged last week's Sunday Salon tonight on the PICADOR BLOG. This sounds a very auspicious place to me - so I'm very pleased to be there (with Debra, Imani and Susan) - with such great company! 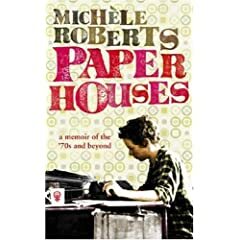 Michéle Roberts seems to have had quite a life; when she was a young struggling writer she used to live in a commune in London and was generally impoverished - and in 'pre-AIDS' London had many sexual adventures. I felt very boring in comparison. My only similarity was living in relative poverty (although only relative to my life now and not in comparison with most of the people in the world). 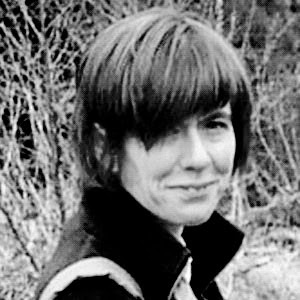 Michéle Roberts was determined to write come what may. I admired her bravery. I suppose I was more scared and cautious - always taking a more sensible route 'just in case'. She was told it was about time she wrote her memoirs and so she has; they are collected in a book called PAPER HOUSES - an inspirational read for aspiring novelists. Then today I went to the University of Salford ('a greater Manchester University'). To make this journey I (rather ludicrously) had to catch three different trains and a tram each way - a total journey time of five hours - and it is only about fifty miles away! However it was worth it. The students were very receptive and I enjoyed talking to them and teaching them very much. They came up with some really good ideas. That word 'elbows' makes the poem for me - strong and conveys exactly the right emotion. In the next poem waves 'arrive wearing a chainmail of mist' in a 'fingernail-shaped bay'. Again really evocative imagery. But she returns again and again to the landscape that she knows and obviously loves, and the people that are now part of it too. Kay has kindly agreed to answer a few questions and provide a short biography. I was born in the south of the South Island, New Zealand where the weather is wild and windy and the trees are crippled by salt-laden winds blowing straight in from the Southern Ocean. I have had two books of poetry published by University of Otago Press. (note from CD - the first of which won 'best first book in the Montana New Zealand Book Awards' - something Kay modestly forgot to mention!) I am presently working on a third book of poetry as well as working towards a collection of short stories, and other prose writings. In true procrastinator style, I haven’t worked out which is the best time of the day in which to write, can’t decide whether I’m writing a poem, a novel or a short story, cannot write until I have made myself a cup of tea and always have to wait until the clock is on the hour before I begin. KC:I don’t have any early memories of snails. I remember reading about them as a child; stories and poems about a little creature with a house on its back. Interest in the origins of the name of your blog Clare, has actually helped me into a greater appreciation of the snail. I have learned recently that New Zealand has native snails that date back to Gondwanaland – the Flax snail, the Giant snail and the Veined snail being just three of these rare species. These are found in the North Island. I have never seen any of these snails. The common, Brown Garden snail, a visitor from Europe has spread to all parts of New Zealand now. As far as I know it is not considered a noxious pest – except maybe to gardeners. Perhaps I didn’t see any snails as a child because at that stage there weren’t any (or very few) in the far south of New Zealand. There is a tiny mud snail in the USA that is threatening their fishing rivers, and it is called the NZ Snail. It is a tiny Southern Hemisphere snail. Snails are rather fascinating! Here is a great site all about snails. Clare, I promise, I will never look at snails as just slimy pests ever again! KC: Well I can’t deny that bearing and rearing three sons would have to be right up there. Since then, hearing the editor of Otago University Press, Wendy Harrex, tell me that they would publish my first collection of poems, was also a really thrilling moment. KC:The sudden death my father of a heart attack when he was forty-eight years old and I was fifteen. KC: To be able to, as a friend says, ‘Act entitled’. In other words, to be more confident. Being in my fifties now, I have heaps more confidence than I used to have, but I’m still a big scaredy cat. Basically I have never fully let go of a fear of other people. Scrape away the veneer of bravado, and I have never left the schoolroom; I am still the quiet, shy bookworm aiming to please by doing what I’m told, keeping my mouth shut, and smiling. KC: Happiness is when everything is in balance. When all aspects of my life are ticking along like a well-run car – a vintage Humber in my case! Happiness is a good night’s sleep. Happiness is hearing from all of my family on the same day. Happiness is conditional – I wish it wasn’t, but it is. KC: Check that I am still alive! Then make a cup of tea. CD: You have an exotic and very interesting ancestry - do you think that influences how you write? If so, in what way? KC: I think my ancestral background influences my writing greatly. I am constantly aware of my heritage, which is Maori (tangata whenua; people of the land) and European settler - Northern Irish (Derry), English (Sussex, Yorkshire, and Cockney) and Scottish (Border and Highland.) All this gives me a deep identification with the land and with family. My ancestry grounds my writing and gives me my voice; a woman’s voice, described by another writer as ‘authentic Pacific’. 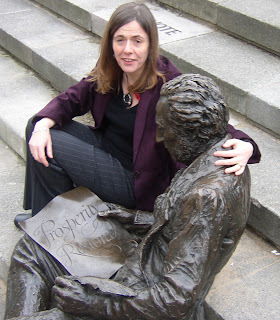 CD: Which poets do you especially admire? Have they influenced you? If so, how? 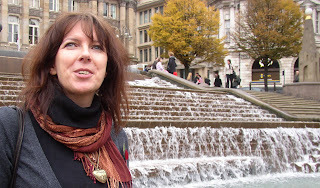 KC:I admire a lot of New Zealand poets, especially Ruth Dallas, Cilla McQueen, Richard Reeve, Alistair Te Ariki Campbell and Katherine Liddy. Among the overseas poets I admire, are Wallace Stevens, Louis MacNeice, Amy Clampitt, Denise Levertov, Fleur Adcock, Diane Wakoski, John Dolan, Les Murray, Michael Longley and Judith Wright. The so-called ‘dead’ poets that I admire, are Dylan Thomas, Gerald Manly Hopkins, John Donne and Emily Dickinson. All of these poets have influenced me in various ways because of their use of language, their subjects and, most of all, their voice. CD: The characters in your life come over strongly and yet subtly - are there any that you feel you are particularly drawn to? Who are they and why? KC:I am particularly drawn to family. That is where I am grounded. I write of family members – much to their amusement, and I daresay in some cases, horror. Then there are the amusing characters I come across in day-to-day life. People are often funnier and more interesting than they realize. I overhear conversations on buses, and use them; anything that I hear, or overhear. Poetry is also a good way to get revenge. If someone offends me, I have been known to get my own back in a poem! But the people I am most drawn to are family – those who are still with me, and those who have passed away. CD: When did you first start writing poetry? KC: From seven years old when my mother encouraged me to write poems and send them off to the local newspaper, the Southland Times. I haven’t stopped since. CD: Is there anything that especially provokes you to write a poem? KC: Travelling gets the poetry juices flowing. Moving from one environment to another generates a flow of images and small vignettes I feel urged to capture; conversations and impressions I feel the need to record. When I journey, in order to observe, I close down socially and am reluctant to engage with people. (I am the silent passenger sitting beside you on the bus or aeroplane.) As I receive impressions, I am mentally recording. I try to carry a notebook and jot down the impressions as I go. I am principally a chronicler. This is what drives me to poetry more than anything else. A feeling that ‘this must be captured’ before it is lost to time. I am less provoked by politics. I am not a political animal. I am not a political poet. However, I have been known to write one or two political poems, although they are more likely to be poems to support others in the front-line, rather than poems to try to tear down things I feel are awry. CD: Have you ever written a poem about something several times? Has your view on the subject changed? If so, how? KC: I am always writing about the death of my father. In the latest New Zealand ‘Listener’ there is a very moving article about a man whose wife committed suicide. In it he says, ‘Grief is with you for life’. This is true. I have actually written a poem in ‘made for weather’ that addresses this grief and more or less says, ‘Dad, after thirty-seven years I have buried you for good now’. I felt that as he was younger than I am now when he died, I should have ‘outgrown’ the death. However, I know deep in my heart this will never be true. My father’s death will always haunt and will always be a present sadness. It is like a scar that, although healed over, is still able to be faintly seen on the skin. 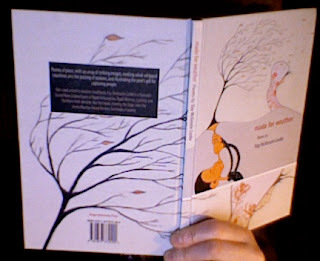 CD: You are an accomplished prose writer too. Do you find that your poetry 'helps' your prose - or vice versa? KC:I think it’s my poetry that helps my prose writing because it alerts me to aim for constraint. I don’t say that I achieve it, but it helps me to head the way of saying a lot in as few words as possible. The honing and crafting that a poem demands, carries on over into the prose. 'Variable Viruses + Changing Ecology + Increasing Movement = More Infectious Diseases Developing at an Increased Rate'. Sunday Salon 15.54: biological and chemical warfare. Last few pages now and the VIRUS HUNTER strays onto the topic of chemical and biological warfare - in particular their histories. He says he is 'perplexed over what was so much more horrible and emotionally repellent about nerve gas or anthrax, say, compared with bullets or bombs.' Good point. It made me think about what my mother said about the end of the second world war in Japan. When she first heard about it, as a young teenager, she was disturbed. The thought of the atomic bomb worried her a lot and in the end she seemed to have become ill. All those people she thought, all at once. She came close to a nervous breakdown. The thing that cured her, she said, was something her grandfather said: a single person's life is as important them no matter whether they are shot by a single bullet or one of thousands. It is just as horrible. Nerve gas injures and disfigures horribly - that's why it was banned. But then mines and burns disfigure too and I guess anyone who has fought in battle is scarred - mentally if not physically - and these scars are just as incapacitating. While he does not advocate biological and chemical warfare, C.J. Peters can't see how they are worse. He then goes on to give an interesting potted history. The first record of biological warfare was when Genghis Khan besieged a city in the Crimea in the fourteenth century. They brought the Black Death with them - it was endemic and came from the fleas of wild rodents on the Mongolian steppes. To end the siege they catapulted plague-ridden cadavers over the walls - and the fleeing inhabitants may have caused the plague to spread to the rest of Europe. Another well-known instance was in 1763 when British forces threw in Smallpox laden blankets to the American Indians when they grew troublesome. Chemical warfare, he says, has been with us for 4000 years, when toxic smoke was used in biblical times. However they were not part of the day-to-day training of troops until the early 1980s as a result of intelligence that the Warsaw pact countries were busy using chemical warfare procedures. This prompted and interest in chemical warfare defense including field detectors (in which I was involved for a short time - one of my projects was to help develop a gas sensor for the American army). Out of this evil then, can come good; because the USSR was thought to be interested in certain viruses during the cold war this caused an interest in certain vaccines to combat these - which in turn can be used to save lives. Out of the quest for death comes a hope for life. UNDER MILK WOOD by Dylan Thomas (of course). I'd not seen it before. At first it seemed overwrought - all those 'bible-blacks', 'sloe-blacks' - every colour had a noun attached (though probably this seemed original and brilliant when he did it - but it has been copied somewhat) - and the people seemed caricatures... but after a while I realised that was probably the point, and enjoyed it. 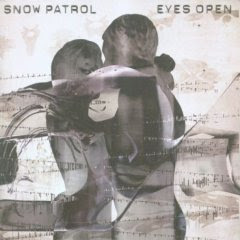 One of those albums that seems familiar when you hear it - because you have. Anyway, I like it. I'm finding out so much. The vaccine for Argentine Hemorrhagic Fever was created by Julio Barrera Oro in 1985. 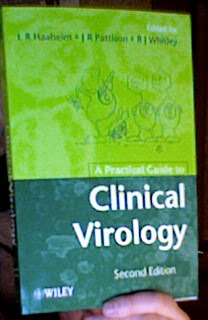 This virus kills about 30 % of the people that contract it and is spread by contact with the droppings of a small mouse. When the virus was isolated, almost simultaneously by two opposing institutions in Buenos Aires, the competition for 'who found it first' was so severe that Julio Barrera Oro inoculated himself with this potentially lethal virus to show his team really had found it. A few days later he developed the fever. Luckily he survived. Nothing... but tomorrow maybe I shall again. Catastrophic loss of confidence last night following a day fiddling around with the plot. Couldn't sleep again and in the end resorted to looking at class notes on various 'classics' for inspiration. 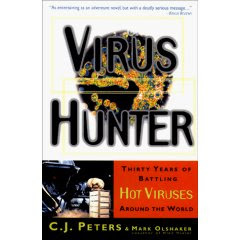 The only good thing about the whole business is I am reading an excellent book: VIRUS HUNTER by C J Peters - who seems to have led an inspiring life. It is full of humorous detail of his encounters with people and is also a source of fascinating information. A good day: aerobics and then I spent the rest of the day finding pictures for the characters of my new book from the weekend's colour supplements. I have now put them on the wall above my desk together with a short summary of their essential details. So far I have written about four thousand words (over the weekend) - the first two short chapters. It is written in two voices - Tom's, a twenty-eight year old university drop-out from an invented country, and Meredith's, a thirty year old technician. It can't really be past 1.00pm, can it? But it is. 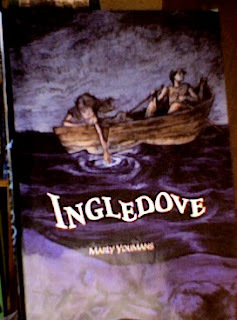 I am now reading INGLEDOVE by Marly Youmans. I have read a few of Marly's books already so I know I am in for a treat. There is something about Marly's writing that floats. It is light and springs along and yet is beautiful and deep at the same time. I like things that seem to have contradictory natures. Marly describes the characters in her book like this: 'light and dark' and strangely I think I know exactly what she means. There is that look that some people have - as though underneath they are dark but on top they are bleached - either by the sun or by something else they have seen. 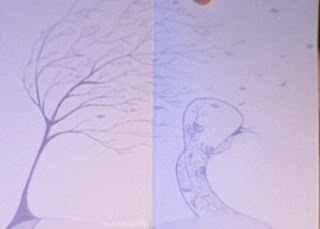 At the moment the characters are floating in a boat above a drowned village - which is a place where they used to live. That is such an evocative idea. One of the characters, a girl called Ingledove, imagines that people are still there, walking around, going about their business. Excellent stuff. If I were a child with this book it would be one of the ones I would read again and again. 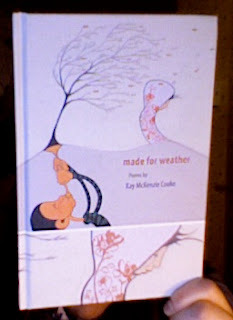 There is a ribbon too (in Kay McKenzie Cooke's book MADE FOR WEATHER)! Oh I do like books with a ribbon, no need for a book mark... and so appropriate for a book of poetry which I always tend to dip into and out because I think of poems as highly piquant bites - too rich perhaps to be swallowed too many at a time. And Kay's poetry are exquisitely delicious indeed, and I'm not just saying that because I happen to have 'met' her through the blogosphere. So far I have got to page 30. I took them back to bed with me because Hodmandod Senior was still there and I had made us both some tea. Now Hodmandod Senior likes poetry. In fact I think he is a better critic than me. One of his favourites is Les Murray and he also likes Philip Larkin, but he never tries writing any himself and sometimes I wonder what he'd write if he did. So I read some of Kay's poetry out to him and he agreed with me that it was very fine indeed, and in fact liked it so much he picked it up when I stopped to drink my tea and got so engrossed I had trouble yanking it back off him. Every poem has some rather wonderful imagery: roads are like taut ropes, blossoms soft as empty gloves, brooms have all their bristles leaning towards the ocean, all wonderfully economic and symbolic. Each poem has much to commend it but so far the ones I like best are about Kay's father. He was a farmer and a poem called 'rough craft' describes his ploughing his field, and, as the poem progresses, it is as if the poem is following the plough and uncovering more and more. The symbols sharpen and become deeper, revealing much and ending at last with the memorable, startling and entirely apt image of 'the earth's slit throat' . Slowly a picture appears. It is affectionate but unsentimental. The honesty shines through. There is no anger or resentment, just a touch of sadness. It is oddly life-affirming and inspiring. There are birds trapped behind the screen. with his glimmering unfortunate thumb. I now have a plot I think might work. I have been mulling over this for several days and it has gone through many revisions. Slowly the emphasis has changed and then the ending and then the denouement...then I saw the message and the theme had shifted slightly too. 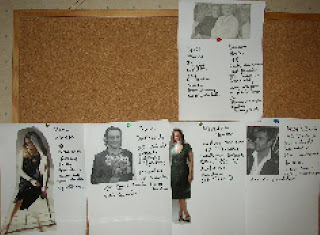 This morning I had what I thought would generally happen - an over-reaching sort of plot of events - and today I have been working out what might happen to my characters within those events. There are just six main characters - and four really main characters. It is quite unlike anything I've ever done before - set in the modern-day, completely made-up and very, as John Gardner would say, 'energeic' (or maybe action packed, I hope). Now I am going to let it 'rest' a little longer, do a bit more research in the form of both non-fiction and fiction books, and then take a deep breath and start. Perhaps, like me, you are unaware that Monday 19th November is, in fact, WORLD TOILET DAY. Fortunately, however, I have a friend called Debra Hamel who keeps me up to date with these events, and to celebrate she is selecting Warwick Collins's highly appropriately-named book GENTS for that day (see the side-bar). There is, apparently, a global sanitation crisis, and donations to this site will help stamp out diseases in vulnerable areas. That is one excellent idea and Twitterlit is another. If you go here you can add a TwitterLit gadget to your blog too and twice every day you will see a new first line from a book linked to Amazon. Essential Features on plotting according to John Gardner. 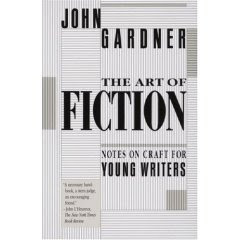 Here is a series of notes that I made from the chapter on plotting in John Gardner's book, THE ART OF FICTION. May be intellectual or energeic (My dictionary seems to spell that word without the second 'e'). Although the intellectual may be easier to write the allegorical tale may ultimately be disappointing. The energeic tale moves along more and is more satisfying. A causal sequence of events - where later events are justified by earlier events - works best e.g. where the character tries to cope by using plan (a) and if that does not work use plan (b) etc. The picaresque (where a clever rascal is followed going from one level to another in society showing absurdities in each) may lack a final energy. Another alternative is the quest which relies on symbolic juxtaposition. (i) ideas in philosophical opposition translated into characters with events expressing the relationship between the two in concrete terms e.g. banker = materialism and a dove= spirituality and what happens when the two meet. (ii) traditional allegorical emblems are explored quasi-realistically e.g. the salesman meets the Fisher-king. (iii) a basic psychological principle is translated into reality. working back from an ending (here the writer starts with a startling event for the climax, mulls over various ways of getting there (and tries them out) and may use characters as symbols). or working forwards from an initial situation (the writer again works out possibilities towards a climax that is meaningful and convincing). If either of these two methods are well-written than what will results is a persuasive piece of reality. In order to arrive at a piece of literature the writer must dig deeper (and this, I think is where the stuff of literature rather than populist fiction is generated). In other words the writer must closely examine a deeply-rooted idea. The imitation of reality is organised around some primary question or theme. 30 000- 50 000 words. Only the energeic style works here. In Gardner's opinion the best novellas consists of continuous action with a series of climaxes each more intense than the last until the final climax. Alternatives are a baby novel - consisting of different episodes with time breaks; or fictional pointilism - stories in snippets apparently at random but gradually amassing. This should be a 'loose baggy monster' (Henry James). The closing movement should echo and resound with all that has gone on before - unexpected connections surface, hidden causes become plain and the outcome of actions become manifest. Apart from the main energeic novel there are some where events are juxtaposed with just a symbolic or thematic relationship or are ordered on a musical principle where a key image is repeated. The energeic novel is the most simple but also the 'hardest to fake'. Of the three parts: exposition, development and denouement the development is tackled first and the theme established. The exposition is slipped in where possible by working out the character and characteristics of main players in the novel, showing everything of importance . The action should get going immediately and the exposition should be completed before the climax. The start should be decided after all the material is collected and should not be too far back or too close to the climax. There should be planned rhythmical climaxes leading up to the final climax and then the denouement. The architectronic novel - where there are two parallel energeic plots focused on central characters - should not be too neatly worked together otherwise they seem contrived. Important details have to be repeated and pairs of combinations of character/event/setting can be used for their associative value for an economic effect. These associations may be on the theme of the novel. The denouement, as well as the climax, should be fulfilling. Although I find I did a lot of what he suggests (by accident, on my own) in my previous novels I have found it useful and reassuring to have the process described and discussed. My thought processes always seemed chaotic but now I see there can be something close to a rationale involved - which I like - and feel quite excited because I think I see places where I can improve. Since I the type of bird flu found in the Suffolk farm, H5N1, is the sort that has proved to be fatal in humans I thought I would refer back to my post of a month or so ago which contains recommendations on precautions to take in the event of an outbreak. 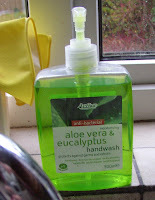 One easy thing we should do, apparently, is simply to keep washing our hands. However, according to what I've read there is no cause for alarm because so far the only humans that have contracted the virus have had an intimate connection with their poultry (e.g. been spattered with blood when slaughtering them); nevertheless I do find it a little worrying because this virus is so toxic and if it did mutate into a form that is easily transferred between humans there could be a pandemic. Also, unlike the outbreak that occurred earlier in the year, these flocks were kept in the open air and so could well have contracted the virus from a migratory bird. Rather sadly I guess this might mean the end of the popularity of free-range poultry and eggs. A few weeks ago I read GENTS by Warwick Collins. Although it is a short novel (about 20 000 words, I'd guess) it asks some big questions and challenges the way most of us see things. It is set in a men's public convenience (hence the title) which is a place frequented by both men - who simply want to 'spend a penny' (or 20 pence in today's currency) - and 'reptiles' (according to the characters in the book) who come for sexual assignations. The establishment is tended by three men from the West Indies and I was particularly impressed with the dialogue which struck me as authentic and witty. "Mr Reynolds and Jason, they have a war. Keepin' back the tide of perversion. Always looking to throw someone out." Martha was silent for a several seconds. She said softly, "You not liking your work?" "Strange thing is, after a while you don't notice it. Just one of the facts." Her perplexed face studied him for a few seconds. She relaxed. "Everyone different," Martha said. "Some people different shakes. Some people gay." As the novel progresses they have to change their beliefs and I was left thinking about the nature of prejudice and the way we are sometimes forced to reassess how we think. The outcome is unexpected and original. Warwick Collins has kindly agreed to answer a few questions. He turns out to be an extremely interesting man. Warwick Collins is a novelist, screenwriter and poet. His first published works were a series of poems published in the magazine Encounter in his teens and early twenties. He became a defence analyst and a yacht designer, during which time he invented and patented the tandem keel, which remains one of the radical keels in the America's Cup. He took to writing full time in his forties, and since then has written eight published novels and a similar number of screenplays. Clare: Do you have any connection with snails? Warwick: I love snails and slugs. They seem to me like the harmless cows and sheep of that smaller world, innocently processing plant material. In the evenings, when I walk out over the tiles towards my shed to work, there are always several crossing on their way to the greenery on the other side of the path, and I avoid them as carefully as I can. Clare: What is your proudest moment? Warwick: Difficult. In my feckless youth I used to be something of an expert on defence strategy, and had addressed as sole speaker the House of Lords All Party Defence Group and the House of Commons Aviation Committee on defence matters. I advocated that jets were very ineffective against tanks and other ground forces (too fast and un-manoeuverable at low heights) and that what we needed to counter a large mobile tank force was a much slower, more manoeuverable aircraft that was driven by fans, had a low infra-red and radar profile, and could survive much better at low level in “ground clutter”. I remember ending up in a formal confrontation with several air marshals at the MoD about its technical suitability, and slowly rolling back their technical objections. It didn’t make any difference in the long term, but I did feel good about winning the argument against such formidable and implacable opponents! Clare: Have you ever had a life-changing event - if so what was it? Warwick: The film WITNESS, one of my favourite movies, about an Amish boy who witnesses a murder, is also a fine essay on the long term effects of violence. Implicit in it is the notion that retribution and counter-retribution is never-ending. It didn’t turn me into a pacifist, but it helped to take the decision to move out of defence strategy/consultancy and into writing fiction in due course. Clare: What is the saddest thing you’ve ever heard of or seen? 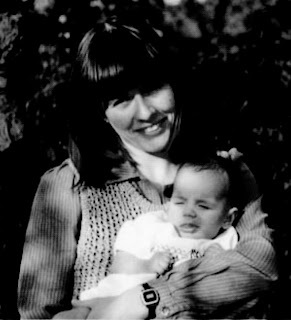 Warwick: A girl with an eating disorder who seemed wracked by a grief she could never explain. Clare: If there was one thing you’d change about yourself what would it be? Warwick: Not having enough time to consider whether one is happy or not. Clare: What is the first thing you do when you get up? Warwick: I’m one of those annoying people who feel fresh when they wake up, so I usually make a cup of tea and go to the computer for a stint of writing. Questions on writing and GENTS. Clare: Looking through your page on Amazon I see you've written, by my reckoning, at least seven books starting in 1990 in a range of subjects and styles. How would you sum up your career as a writer? Warwick: I enjoy the stimulation of adapting method and style to different fictional challenges. That said, my range of subjects and styles has been a real disadvantage in the eyes of English language corporate publishers, who claim they can’t market me coherently. Luckily, my foreign language publishers have tended to regard this range as a sign of virtue. 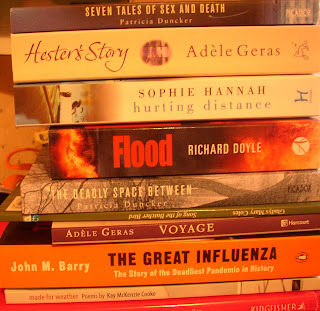 Clare: How has publishing changed in the last seventeen years? Warwick: I do think corporate publishing has had a catastrophic effect on publishing generally. The marketing and accounts departments now rule the publishers and editors. I hate it when publishers try to “create” books for a perceived market. The books currently in the bookshops are surely the most mediocre in history. Clare: Do you see yourself fitting into any genre? Clare: How did GENTS come into being - both in its earlier incarnation and now, again, with The Friday project? Warwick: GENTS began as a screenplay. I like the screenplay form as an initial means of exploring a dramatic idea, because it’s so tight and formally circumscribed. I informed my then British literary agent, one of the great names in the business, that I enjoyed writing the screenplay and intended turning it into a novel. He wrote back saying that “on no account” should I turn it into a novel, and refused to give any further explanation. I ignored his advice. He then refused to send the novel out to publishers, and eventually I had to submit it myself. 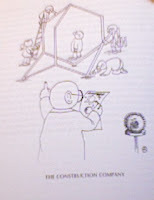 Luckily, Marion Boyars published it. Needless to say, my agent didn’t remain my agent for long. This year Scott Pack and the Friday Project did a wonderful job in republishing it. I have to admit that a little imp inside me wanted to send my former agent a copy of his original letter telling me not to write GENTS as a novel, along with the recent review of GENTS in the Times as a modern classic, and ask for his response. But I resisted the temptation – not least because I know it wouldn’t make an iota of difference to his paternalistic attitudes. Clare: One of the impressive features of GENTS is the dialogue - humorous, authentic and yet conveys a serious message at the same time. Do you work on this or do you 'just' have an ear? Warwick: I do love the rhythms of speech. For some reason I felt at home in the West Indian patois. After publication, a good moment occurred when two fine actors of West Indian ancestry, Colin Salmon and Oscar James, asked to meet me in order to discuss a role in any possible film or play of GENTS. After shaking hands, Colin said, “I can’t believe you’re not black.” Much appreciated. Clare: I also liked the way GENTS seems to be a very accessible book and yet conveys quite a complicated message about prejudice and people's behaviour. Do you start with a message in mind? Warwick: I’m afraid I do enjoy beginning with an ideological confrontation of some kind, but I also accept that it’s a very risky approach, because there’s always the chance that the characters will just be two-dimensional mouthpieces. To me at least, the summit of literature is a combination of fierce ideological or political or social confrontation with rounded, preferably sympathetic characters. One of my favourite books is THE SCARLET LETTER, which is also a magnificent satire on Puritanism, and HUCKLEBERRY FINN, which I would submit is also one of the greatest essays on the moral difficulties of slavery. I do think that combination is profoundly absent amongst modern novels. To my eye at least, the best relatively recent example is a group of so-called “children’s books”, for example Philip Pullman’s HIS DARK MATERIALS trilogy, which is also a powerful, subtle and engrossing interrogation of organized religion. I wish our literary novelists would engage as sincerely and naturally with great issues. Clare: Is GENTS going to have a sequel? What are your future plans? Warwick: I doubt very much if GENTS will have a sequel. I know this sounds strange, but GENTS is a better book than I remember writing. It seems to exist outside me now, as an independent character on its own. So I wouldn’t even attempt to match it, and prefer to try something different. Regarding future plans, for the last seven years or so I have been concentrating mostly on writing short novels, which I call mini-novels, of about 10,000 words or approximately 50 pages each. I would submit mini-novels differ from short stories or novellas in always having a clear arc of narrative – a beginning, a middle and an end. Amongst published works, one of the closest in form and style to that ideal is probably BROKEBACK MOUNTAIN, by E Annie Proulx. I’ve completed over 50 of these mini-novels now and am looking forward to the first group being published by the Friday Project in the next two years, probably in a group of 12 published at the rate of one a month. 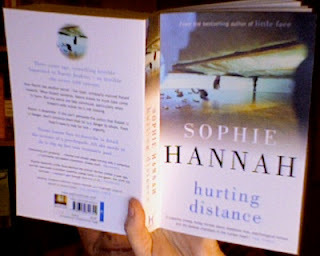 Have started HURTING DISTANCE by Sophie Hannah (as advised by Ann and Maxine) and finding it engrossing. It starts with a hook - Naomi Jenkins breaking a promise (we don't know what promise, but that in itself is intriguing), and very rapidly we are led to another hook: a view through the window of a house - so horrific she finds herself swooning. Naomi is obsessive, and a little neurotic, in my opinion. She seems to be stalking her lover - but in a way that seems utterly plausible. Anyway, she's a very interesting and vulnerable character and looking forward to finding out more. The next chapter introduces Detective Sergeant Charlie Zailer who I like almost immediately - because she is wriggling under the discomfort of an ill-fitting bra. It's an excellent detail and I think every woman reader will sympathise immediately. Can't wait to read the rest and can perfectly understand why Ann read it in one sitting - a great combination of crime and quality women's fiction. Just one little story: MOVING. It was based in Wales and I felt I knew the people...gripping and I have a strong impression that it was based on a real event. The imagery will stay with me. Tht was such a magnificent chapter. I have learnt so much in just 12 pages (although I had to supplement this with searches on Google). Again I shall give a few short notes. Fiction reflects changes in society. Authoritarian fiction stems from time when Kings and officials were regarded as better than anyone else. It demonstrated known truths; an example is the picaresque where the hero moves from one social situation to the next in an abstract and instructional way e.g. Pilgrim's Progress. The biographical novel also follows this pattern e.g David Copperfield. Events in a life can sometimes appear to be random but they are all chosen because of their relevance to an abstract central question. Some authoritarian fictions are also 'spatial' with the elements only existing for the sake of a pre-determined conclusion. The writer composes backwards from the climax. Existential fiction is the opposite. Since the second world war there has been a tendency to find 'spatial' fiction morally distressing. It is a reaction against certainty. Philosophies of certainty had led to the holcaust and the atomic bomb and the work of Samuel Beckett and John Fowles were a reaction to this. These fictions go nowhere (WAITING FOR GODOT) or are open-ended (THE FRENCH LIEUTENANT'S WOMAN). Non-authoritarian fiction also contains an element of discovery - the writer doesn't know the ending. Modern fiction he considers to have only two useful labels: 'deconstructive' - and 'metafiction' (which is a subset of deconstructive). He dismisses 'post-modern' as merely an antithesis to modernism and means 'more like Italo Calvio than Saul Bello'. 'Fabulation' he says merely means unconventional. The job of metafiction is to investigate fiction. 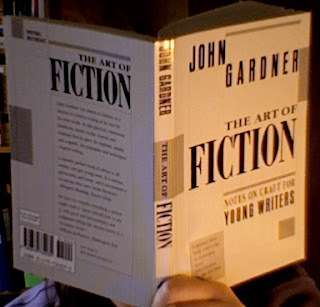 Since 'Nothing in the world has greater power to enslave than does fiction' the intention of metafiction is to undermine fiction's harmful effects by drawing attention to its methods. It is intellectual and less emotions are less intense. The main purppose of metafiction is make the reader think. Deconstructive fiction deals with the idea that all 'language' (which includes music, art and literature) has inherent 'values' (e.g. it is common to refer to 'mankind' but meaning men and women) and deconstruction takes this language apart to discover its unacknowledged inner workings. It is one of the main methods of modern literature. It tells a story from a new, weird angle in order to cast doubt on accepted views. Strictly speaking most literature has a deconstructive element (with the exceptions of works such as the Bible and Gilgamesh). For example in Hamlet Shakespeare deconstructs the idea that vengeance is the hero's duty by gradually making Hamlet appear more and more guilty in his quest. Although all non-conventional fiction is deconstructive most makes no great claims and is just jazzing around. This, says Gardner, is the best thing a writer can do. It is the hardest thing to do successfully and 'the world's greatest praise will go to the serviceable drudge who writes about more or less lifelike people who labour through energeic plots, find their destinies and stir us to affirmation'. 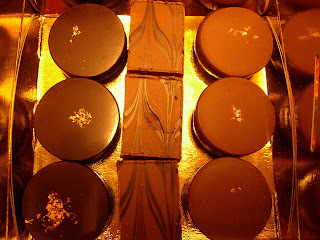 It takes genius, little planning, inexhaustible imagination and the taste to know when the magic is not good enough. (iii) helps us know what we believe, reinforces those qualitites that are noblest in us, and leads us to feel uneasy about our faults and limitations. All writing begins as a mysterious dream in the head of the writer and by writing and endlessly revising a writer makes that dream available to the reader. Good writing should, above all, tell the truth. Feelings should be expressed in concrete details - in the description, the dialogue and the recounting of action. For instance a good writer doesn't just describe a barn but describes how someone in a particular mood sees a barn. It is Remembrance Sunday today. This year it also falls on the 11th day of the 11th month - a day I can't forget for more personal reasons. When the two minutes silence comes I shall not be thinking of the ceasing of the gunfire but the ending of life - and how endlessly cruel this is. A good mixture of poetry, thrillers, popular and literary fiction and non-fiction but I doubt I shall get through them all. 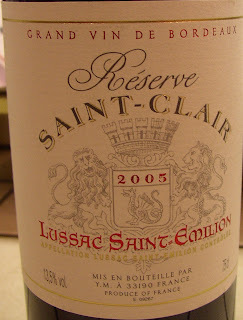 Since it is Friday night the Hodmandods will celebrate in their usual fashion with a bottle of wine. It has been a good day. I had an excellent lunch with a couple of writerly friends in Liverpool and now feel convinced that I have a plot outline for my novel. I like this feeling before I start to write a book - a sort of excitement (and also a small amount of fear) as I contemplate the blank page or screen. I have often heard other writers say their book is like their child. If that is so then I guess this is the anticipation of birth. Sometimes I think I can feel it fluttering a little inside my head the way Hodmandod Minor's and Major's feet and hands flailed out and my skin transiently stretched to take their shape - a vague brief outline. Then, when they born, they were perfect (or so it appeared to me) - unscarred by the sharp edges of the world - and all things seemed possible. 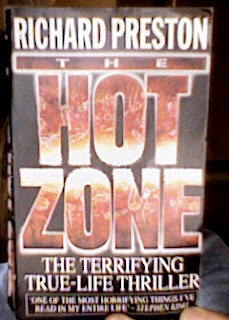 And so it is with this book which resides only in my mind. It is perfect as any fond dream can be. However I was meaning to talk about wine and really I can't think of anything to say. Except it has the deep redness of oxygenated blood, and when I poured it into a glass it was so dark I could see myself reflected on its surface. It smelt just of wine, no berries, no fruit, just wine. 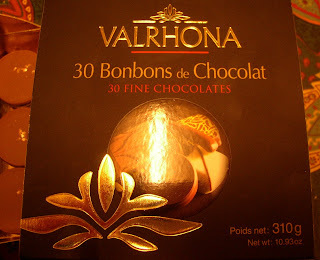 I have not tasted it yet but since it is (i) mis en bouteille par Y.M. (ii) un grand vin de Boredeaux (iii) two years old, (iv) has a smart little crest on the bottle and on the label featuring a dragon (which looks much like a Welsh one to me) and (v) has a really excellent name (albeit spelt wrongly) I am optimistic. Just been out to a little writing group in Manchester - four (usually five) women writers at Manchester Metropolitan University (MMU) all aiming to write novels. It was well-organised and made me think a lot about the business of writing. I think a writer needs the company of other writers. 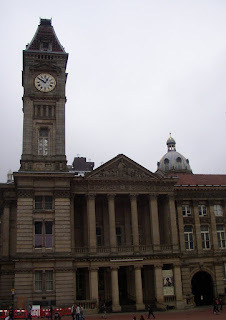 Tomorrow I am heading to Liverpool to meet some more writers there for lunch. One day soon I am hoping to graduate from talking to other writers about writing to actually doing some! whom I hadn't seen for about thirty years. She looked pretty much the same as she did all those years ago (except taller). Obviously we had a lot of catching up to do and only managed to get through a fraction in the four hours we were together. But it was fun...and I got to chat up a man who couldn't answer back (the best sort). No idea who he was, and neither did the staff of the local museum across the square. and Watt, who invented lots of things but his main innovation was a very useful improvement to the steam engine. Though I think they may have had clues. Additional Note: A quick google search has revealed that my silent friend was one Thomas Attwood, British economist and political reformer. So it is strange he had so little to say for himself, really. A harmless prion - is there such a thing? A molecule twisting another to fit itself - or a memory shaping another? Sometimes a film enters my head and like a prion changes my ideas and thoughts. The images haunt me as if they are people I used to know and have now gone away - abruptly and forever. A part of me wants to see the sequel but my more sensible part warns me to stay away. 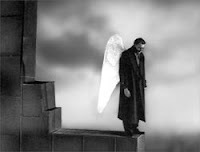 So it was with this film WINGS OF DESIRE which we saw last night. It is Berlin 1987 and there are angels everywhere. Only children can see them. They haunt the sad, the lonely and the suicidal. They peer over the shoulders of scholars and listen to their thoughts. Libraries are their favoured habitat. The film is shot in black and white because the angels do not see in colour. The first part was a pastiche of life in Berlin before the wall came down. I recognised some of it: the concrete and the odd patches of overgrown derelict land - it was still there when I went in 2001; but maybe it is gone now. The job of angels, it turns out, is primarily to observe and their reports reminded me sometimes of Virginia Wolfe's KEW GARDEN and REM's video of EVERYBODY HURTS. This latter angel also fell in love with a lonely trapeze artist and wanted to become mortal in order to be with her, and so like THE LITTLE MERMAID, had to endure both the wonder (the redness of blood, the touch of the ground beneath his feet) and the pain of being human. I found it an inspiring film and very European in character - mainly because the actors were allowed long beautiful speeches. I also thought it a great and adventurous piece of art. It is not robust or as strong as the angels in the film but I think it will do very well as observer from the top of the Christmas tree. Oh, I have been so very, very slow..but in much excitement in the introduction as I come across familiar places and people - Buenos Aires, for instance (and imagine myself there again) and then Athanasius Kircher (the latter the name of a wondrous society devoted to the weird and bizarre I have mentioned many times and based on the Father's own love of the eccentric. For instance, one of his stunning inventions was the sunflower clock (a bouquet of blossoms whose heads followed the sun and hence indicated time)). 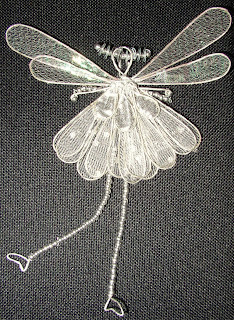 There is then, that very fashionable of literary devices unfolding here - a story within a story - which I like. An onion of a book, then, and even though my eyes are not watering yet I am slowly peeling away layers. as recommended by Stephen King. It was as horrifying as he said it was, and not literature at all (and didn't pretend to be) but very, very interesting all the same. I think it deserves a blog post all of its own but shall deal with that later. 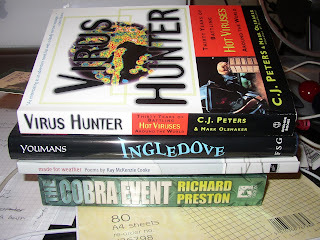 Now I have to look around for something else out of my TBR pile, and since there have been several Amazon deliveries recently I find I am embarrassed for choice. 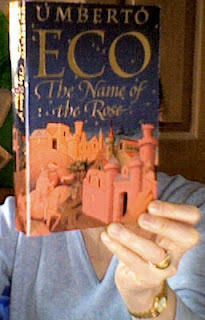 So I choose this THE NAME OF THE ROSE by Umberto Eco.